Thank you for checking out First Baptist Rockville. We're delighted that you're here. We believe that God has called us to this moment in history and this place geographically for a specific reason. When you visit First Baptist Rockville, you'll find a friendly and diverse congregation. With people from roughly 30 different countries, ranging in age from 9 days to 99 years, you're sure to find someone to relate. Because First Baptist Rockville is such a diverse congregation, in worship you'll find diversity as well. We have two distinct worship services. The first service is traditional (9:30AM), which typically consists of traditional hymns, instrumental selections, and a choral call to worship. The second service (11AM) is mostly contemporary, consisting of modern choruses, gospel songs, and hymns led by a worship band. From time to time, we'll meet as one congregation, blending the worship a bit and even mixing in some worship elements from home countries. No matter the style of singing, we seek to elevate the Word of God through reading scripture and preaching. We also seek to connect with God in prayer each time we meet. Our Mission: First Baptist Rockville is a church of the nations, for the nations, therefore, we exist to win, disciple and send people across the street and around the world with the message of Jesus Christ. Knowing who God has called us to be is of vital importance. Knowing where He is leading us is vital as well. You see, First Baptist Rockville is a mission minded church that has been around for nearly 200 years. While we're passionate about reaching lost people all over the world, we do not want to lose site of the fact that there are people right here in Montgomery County that need the message of the gospel as well. We're excited about where God is taking us. We'd love for you to be a part of that journey! 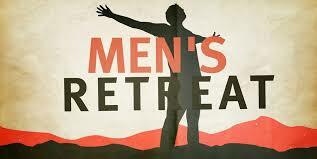 A personal reflection on the recent Men's retreat.